This year, Bloovi, the knowledge platform for de digital sector, organised the first edition of the Digital Media Awards, in collaboration with Feweb, the Federation of Web companies. This contest aims to honour agencies, creative companies and other key players in the digital world for the best campaigns and realisations that have run for at least part of 2015. The DMA are therefore a real showcase of the creative talent of the contestants. Receiving such an award is the best recognition an agency can wish for. Agencies could submit their campaigns in 18 categories. 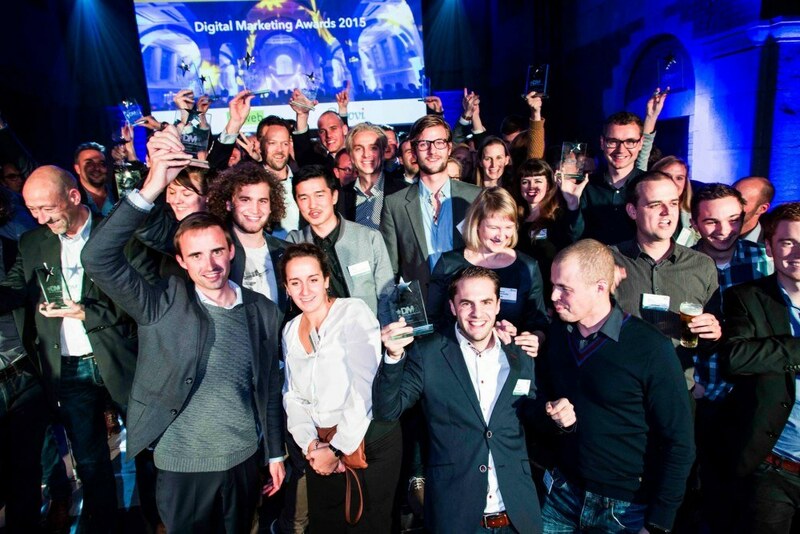 9 Channel Awards honour expertise in a specific field (Affiliate, SEA, SEO, Email, Social, Content, Banner, Experience Marketing, Video Award, Best Performing Belgian tool). There is also a categorisation based on the sector targeted by the campaign (non-profit, Egov, Financial & Insurance, Retail, News & Lifestyle, Automotive, Energy, Travel and Pharma). The jury members have also nominated candidates that, according to them, were eligible for the Industry Awards in the following categories: Best performing campaign, Best performing agency, Most promising agency and Innovation award/Out of the box award. 26 November 2015 was D-day. In the gorgeous setting of Altar, a converted church dating from 1920 located in the Voskenslaan in Ghent, 270 euphoric people finally found out who won the Awards. The list is too long to mention everyone, but you can visit the Bloovi website for further information. We will just reveal the names of the companies that won the jury awards: The Reference (Best Performing Agency), Digiti (Most Promising Agency), Small Town Heroes (Innovation Award) and OMCollective (Best Performing Campaign). And you cannot have an award evening without having a party! The unique lights of the ribbed vaults in the converted church put on a beautiful show in the Altar. 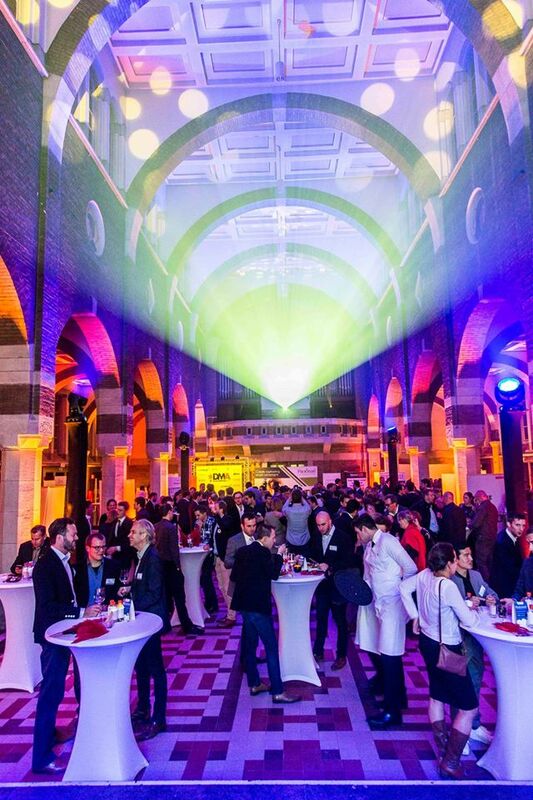 Combell, which was a gold sponsor of the event, found a fun way to break the ice in this quite impressive building. Under the motto “Durf jij het duiveltje zijn in deze heilige setting?” (Ed. : “Do you dare to unlock the devil in you in this holy place?”), the attendees could have tons of fun using photo props provided by Combell, which had a delegation of 6 people from sales & marketing. The attendees were dared to take pictures and make videos of themselves, with all sorts of devil horns, wings and halos. 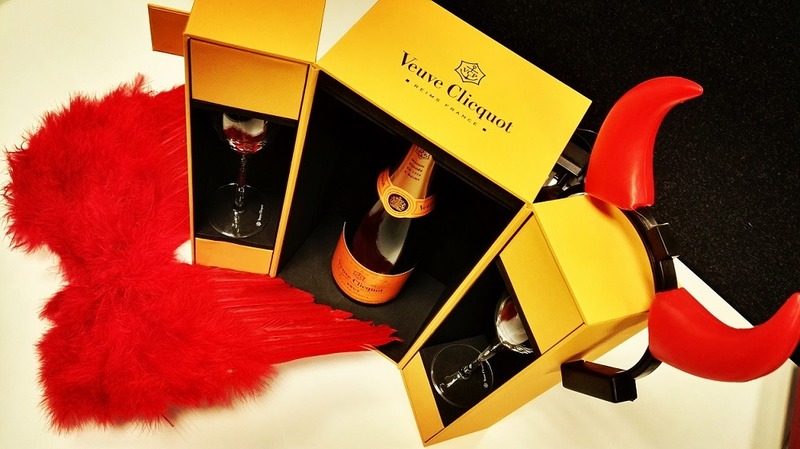 And those who took the best pictures won a lovely champagne box. The solemn atmosphere was quickly swept away, and the place filled up with a lively crowd in the red and blue spotlights. The entire digital scene was attending this completely sold-out event, with no fuss or formal (and expensive!) table settings, but instead a very open space with small guest tables that made it much easier to establish contacts and network with new people. Both organisers and sponsors will undoubtedly be very happy to know that many attendees described this evening as “the networking event of the year”, or “the award show re-invented”. 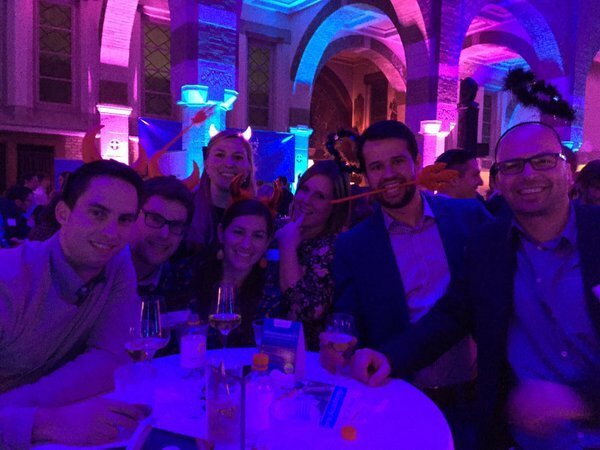 Check out the pictures taken at the Digital Marketing Awards 2015 and see for yourself how much fun people had that night!